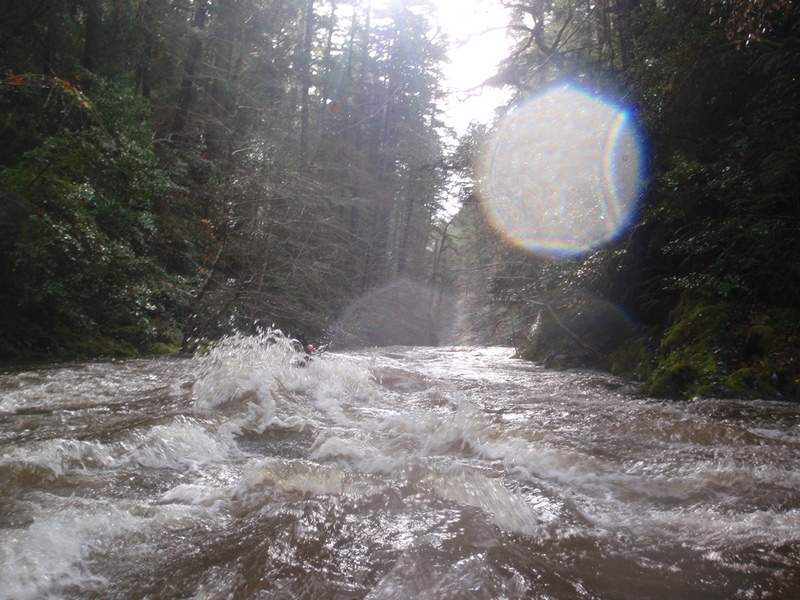 On the third day of our end of 2011 trip, we woke up to swollen river thanks to the 4.5 inches of overnight rain. 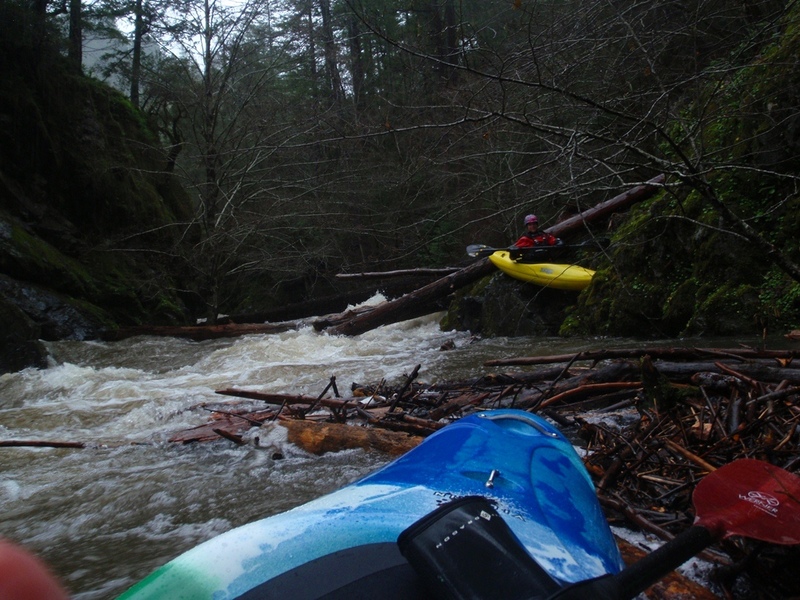 With all the main stems raging, and our plans for Diamond Creek nixed thanks to over 20 feet of water in the North Fork… we headed up to what we expected to be the easiest section of new (to us) whitewater in the area. 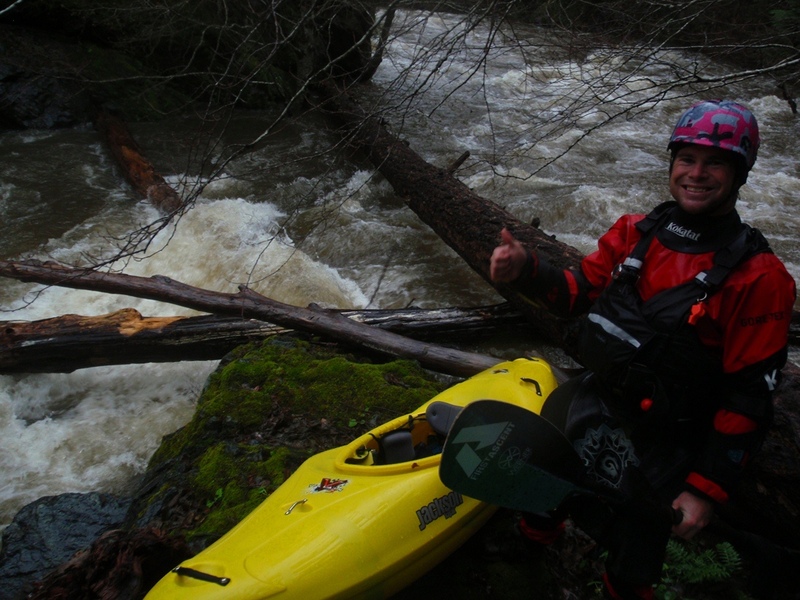 Even at the top of the Middle Fork, we knew that we would be on flood stage water. 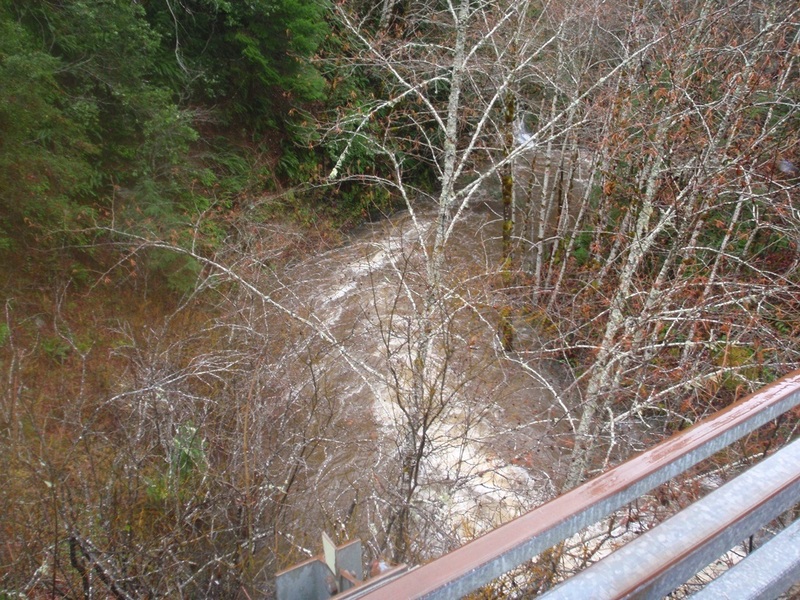 In a river bed that is only 10 feet across, we also knew that this would likely create a significant hazard for wood interactions… a fear that was realized a few times. I have heard at lower flows the river is class III-IV. At the high flows, the river starts off fast down a mile to the confluence with Griffin Creek. After that, the river has more distinct crescendos and more eddies. We did just barely clear over one log not far below that with less water would have been very bad, as it was we all type-writered while sliding on top of the log. Luckily we all cleared. A short way downriver we also had a portage around a log jam, though this one had easy eddy access on the left top portage from. A short ways below Idlewyld was one last big rapid where a good sized feature type-writered me into the shore and into a tree, luckily the tree was not lodged in place firmly and moved, letting me by without a flip, pin, or even a brace. I was very thankful. A few granite bedrock rapids were fun, and gave us one scare as David dropped over a ledge after being spun around backwards. 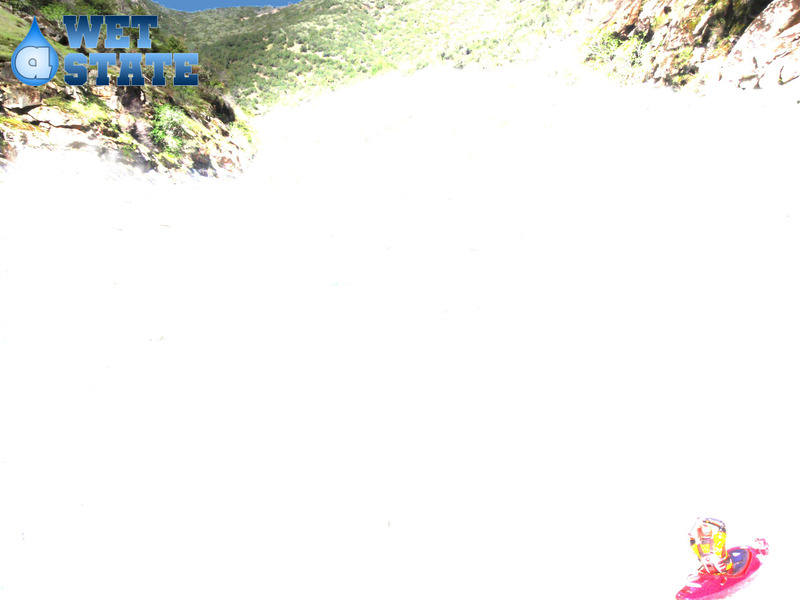 Luckily the hole was flushy as a swim anywhere on this river would be less than ideal at this flow. 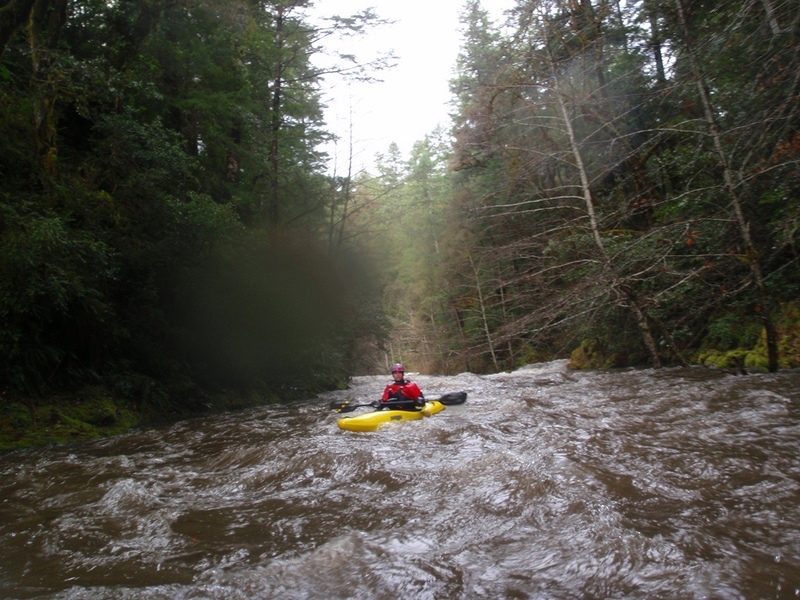 Once the Siskiyou Fork comes in the on the left, the action is over. A mellow float is all that waits downstream to take-out. Near put-in, there is also a ~20 foot waterfall that has been run on Knopki Creek. We went looking for it but couldn’t find it. Afterwards I talked to a few people about where it in fact was. From put-in, continue driving up the road until you cross the next bridge. In about 5 seconds, stop and find the trail on the right. That’s all I have… the falls looks fun in the pictures I have seen. Griffin Creek enters on the right. Log Portage (U). On a right hand turn there is a log jam, eddy out left to portage. Biggest Rapid (IV). Somewhere near the mile 5.0 mark is the biggest rapid of the run. Just upstream there was a log jam that we were able to sneak around on the right, this immediately led to the rapid which we ran down the center. At lower flows I have heard this rapid becomes junky. Siskiyou Fork enters on the left at the end of a nice but small bedrock section. Take-out: On highway 199, go 1.6 miles to the turnout and road leading down to the water. Put-in: Continue 6.3 miles up Highway 199. Turn right at signs for Knopki Bridge, the road quickly crosses over Griffin Creek. 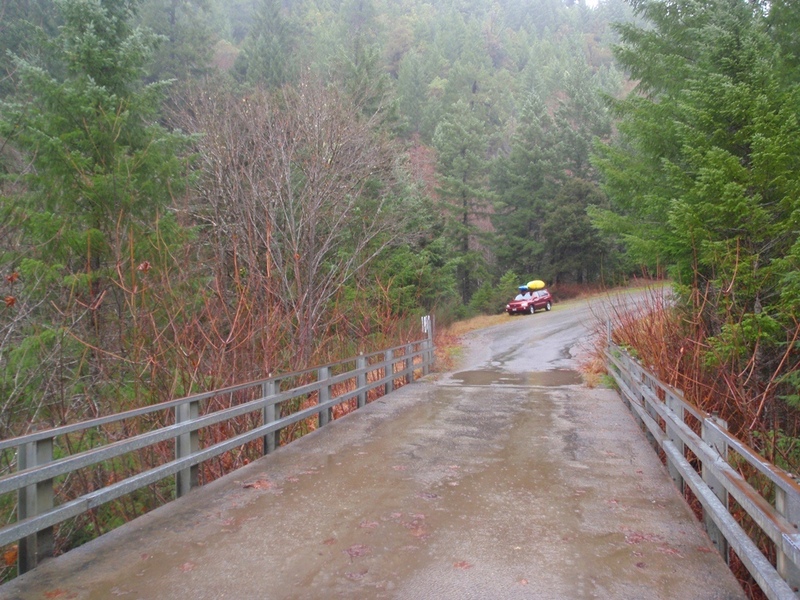 Continue for 1.0 mile to the first bridge over the Middle Fork of the Smith. If there is not enough water, head downriver to Idlewyld to find river access with hopefully enough accrual.